Interior Design at New Jersey Institute of Technology [NJIT] is located in the School of Art + Design alongside Digital Design, Industrial Design, and Fine Arts. The School, established in 2007, is part of the College of Architecture and Design along with the School of Architecture that was established in 1973. Why study interior design at the NJIT” Interior Design at NJIT attracts dedicated, enthusiastic, talented, intelligent, tenacious, entrepreneurial, creative people! We respect the past but look towards the future. Product and project-oriented, we like to make things in both the physical and virtual worlds. We have an expansive view of the profession that includes the organization and detailing of spaces and interior finishes, the design of furniture and theater sets, and the creation of imaginary worlds and spaces. Our students are successful and have had work exhibited at major conferences like the International Contemporary Furniture Fair [ICFF] in New York, and NeoCon in Chicago. 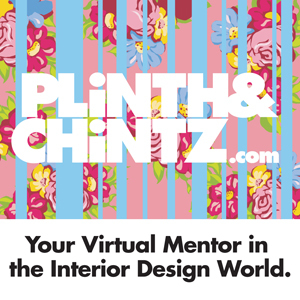 They are Interior Design Educators Council [IDEC] and American Society of Interior Designers [ASID] design competition winners. They create sustainable designs and products that are exhibited and presented at the New York Earth Day Educational Fair. They include the first interior design students from any institution to be selected by Autodesk to become “student experts” with scholarships for off-site training in Building Information Modeling and have been hired to work at diverse and successful design companies. 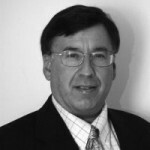 As part of a public research university, our award-winning teachers contribute to the development and dissemination of knowledge, are widely published, have designed inventive original products and furniture, and have been pioneers in the use of computer graphics and digital media. NJIT is one of the first schools to create fully electronic architectural design studios with three-dimensional modeling and color graphics more than 25 years ago, and the Interior Design program builds on that legacy to prepare professionals for a global 21st century practice. Situated in an urban area, there is much to do, explore, and inspire. Located on 45 acres in the University Heights neighborhood in Newark – New Jersey’s largest city – NJIT is just outside New York City with easy and direct mass transit connections to midtown Manhattan where students can enjoy museums such as the Frick, Metropolitan Museum of Art, Museum of Modern Art, Guggenheim, and more. Just a short walk from the NJIT campus, the Newark Museum houses 80 galleries of world-class collections. Furniture showrooms and lighting labs in New York and New Jersey provide ample opportunities for students to explore and research real-world products and ideas. There are myriad opportunities to expand one’s cultural, creative, social, and recreational experiences. Less than a mile from campus is the New Jersey Performing Arts Center, the state’s premier venue for theater, music, and dance. The historic Ironbound District in downtown Newark draws visitors from far and wide to experience great restaurants and entertainment. And there many options for the fan of professional sports to cheer one’s favorite team: the Prudential Center (aka “The Rock”) is about one mile south of campus and is home to the NHL’s New Jersey Devils. Soccer fans can attend games at Red Bull Arena in neighboring Harrison, just two miles away. Football fans can watch both the New York Giants and Jets at MetLife Stadium, the only two-team venue in the NFL. And finally, baseball fans can attend Yankees and Mets games at Yankee Stadium and Citi Field, respectively, in New York. 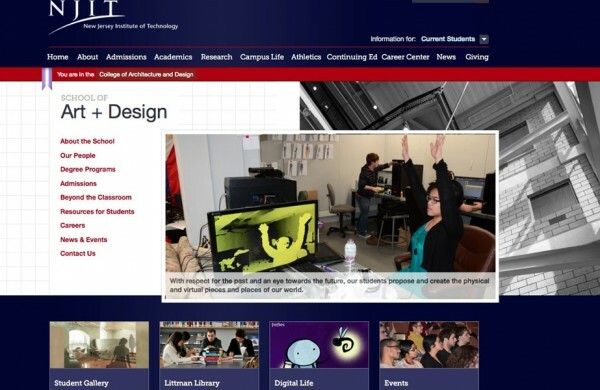 We also have our own NCAA Division I athletic program at NJIT in which a number of Interior Design students participate. Renowned Branch Brook Park, a few minutes from campus and designed by Frederick Law Olmsted, is the oldest county park in the United States and home to the annual Cherry Blossom Festival, which has a larger number and greater variety of trees than the comparable festival in the Washington, DC. There are mountains to the north and west, and a trip on the Garden State Parkway will take you to any one of a number of beaches at the Jersey Shore. In short, almost anything you are looking for can be found nearby and is easily accessible. In a modern and current adaptation of the Bauhaus principles that unite art and technology and promote interdisciplinary collaboration, the program is organized in a 1-2-1 format with Interior Design students working alongside those in other disciplines during a Foundation Year. Early coursework combines multiple media with watercolor, paper collage, sketching, and computer graphics. Students are consciously placed in a digital milieu using a variety of media throughout the first year. A long history of using digital media in design studio at NJIT has proven that students can take advantage of computer graphics and building information modeling even at the beginning stages of design. Technology is not an “add-on” but is wholly integrated into the work in the School of Art + Design. The middle two years of all programs are discipline specific (although there are courses like History of Modern Architecture, Ergonomics, and Introduction to Structures that are taken by students from more than one program). Individual and group projects at different scales are required at all levels. The penultimate studio in the fourth year starts with the Collaborative Design Studio which brings students from the School of Art + Design and Architecture together for group projects with multidisciplinary teams (similar to the way multiple disciplines come together in professional work) with each student bringing his or her specific area of expertise to the project. Interior Design students work with colleagues from other disciplines and may find themselves working on the design of a solar house in China, designing the sets and prosthetics for a circus, a graphic novel and exhibit for New York Comic Con, and more. The projects change each year and there is always a variety from which to choose. The final semester is spent in a Comprehensive Design Studio during which each student works individually on a programmatically complex, multi-story project with a high level of specificity and detail. Students also have options. With elective courses students may choose to diversify their undergraduate education by taking courses in other disciplines, from traditional media art courses to set design and the study of motion pictures. Or they may move in a more focused direction by taking technical courses in environmental or structural systems. Students may minor in Theater Arts or a variety of other subjects; and/or prepare for graduate work in fields like architecture, law, education, or business. 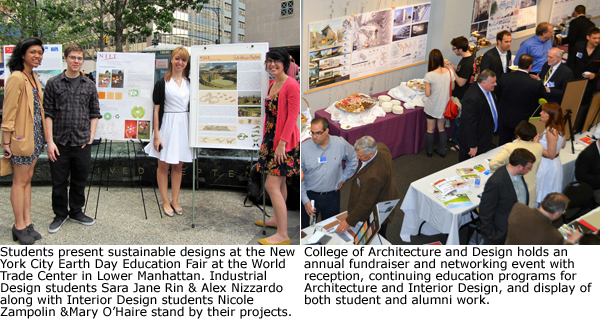 Students who complete the BA in Interior Design at NJIT with a “B” average or higher and take the GRE, can apply to and matriculate in the Master of Architecture program (first professional degree) at NJIT and complete the requirements in just two years of additional study (effectively making a 4+2 Interior Design/Architecture program) thereby preparing for two separate, licensed or certified professions. In some instances, students may choose to continue graduate studies in architecture at other institutions. It is the mission of the Interior Design program to provide the opportunity for students to become prepared to participate in the development and implementation of creative solutions for the design and development of the interior environment in which all people exist and function. As such, of paramount importance is the preparation of students to work in maintaining the health, safety and welfare of the public by understanding and adhering to building and life safety codes, having an awareness of ergonomics, universal design, and ADA requirements, and becoming knowledgeable about environmentally responsible building practices and materials.